Everything you need to know about the cost and optional features of geothermal heating and cooling. You can also get a free localized estimate. How Much Does Geothermal Heating and Cooling Cost? Geothermal heating and cooling offer an eco-friendly and efficient way to keep your home comfortable. People use this system in a number of different regions, but it does perform best in moderately warm places. Geothermal equipment works by collecting warmth from the ground and shifting it indoors, or gathering excess heat and moving it outside. Other benefits of this option include quiet operation and financial incentives. Installation demands specialized tools and great expertise, so homeowners normally dont complete this task by themselves. 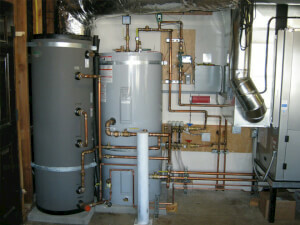 The process involves installation of a heat pump, heat exchanger and one or more air handlers. Additionally, ducts or conduits must be added if they are not already present. 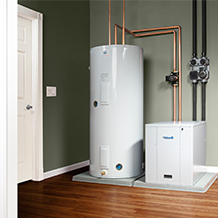 How Much Does It Cost To Install Geothermal Heating And Cooling? 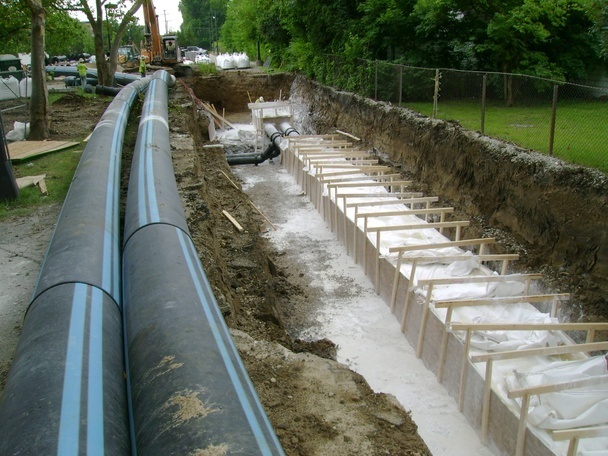 This project generally takes two to three days to finish, but work may take longer if you have a large home as it involves pipe installation, excavation, and other complex tasks. Homeowners frequently spend around ￡3,850 for a heat pump, but it can cost as little as ￡2,300 in some parts of the country. Labor and other supplies often make up a larger portion of the total price, which typically adds anywhere between ￡4,620 to ￡9,250 to the final price. This figure does not necessarily cover the expenses associated with removing old HVAC equipment, installing multiple heat pumps on the same property, or replacing ducts that have fallen into disrepair. The cost to install geothermal heating and cooling covers more than a few variables. If you want the best price on one of these systems, we recommend comparing estimates from multiple HVAC contractors in your immediate area. This way you can choose an installation plan that suits your needs and budget. The size of your house affects the cost to install geothermal heating and cooling. Some larger homes call for costly but highly efficient compressors with two stages. You will also pay more if you need more than one air handler to put in separate rooms or structures. It is cheaper to install geothermal HVAC units during the construction of a building. Likewise, it is less expensive to use existing ductwork than to install new ducts. A contractor might charge an extra ￡4,620 to replace ductwork that is in poor condition. You can choose to heat water for sinks and showers with geothermal equipment, but this will raise the price by around ￡2,300. Most people spend an average of ￡5,750 for a geothermal heating and cooling system. This might cover equipment and installation expenses for a relatively small house with existing ductwork in good condition. On the other hand, some homeowners pay as much as ￡15,400. This amount will pay for extras like hot water heating and duct replacement, but it probably wont cover multiple heat pumps. It is also possible that you will spend only ￡1,500 for this type of HVAC system. This might be feasible if you qualify for associated rebates, tax credits or deductions available from various government bodies and energy suppliers in some parts of the nation. Dont overlook the fact that your location may raise or lower these prices. Permit requirements vary by state, so you might have to spend a little more if a permit is necessary where you live. The local climate also affects your heating and cooling needs; it may necessitate a more or less costly system. Energy efficiency credits and rebates also differ regionally. Other considerations to include is the areas soil type, commercial taxes, and installer licensing fees. For a 100% FREE and accurately localized quote on the cost to install geothermal heating and cooling, simply type your residential zip code in the space provided on this page. It wont take long and there is no obligation to purchase, hire, or sign any contracts. It is a great way to decide what is possible should you be working on a budget. Give it a try, registered pros are waiting to help you.